In 2007, frustrated by the lack of enthusiasm in the newspaper sector, I launched a personal blog to track multimedia trends. This was my outlet for continued education to keep myself motivated and inspired. Initially called "Tracy Boyer's Blog" on Blogspot, I had no idea how to track analytics, market my content to others, attract advertisers and/or grow my audience. However, over time I realized that my blog was quickly gaining popularity so I taught myself how to launch a self-hosted Wordpress blog and migrated all of my content over to the new site, called Innovative Interactivity. Despite the mouthfull of a name, the original design and name has stuck since it launched in 2008. In 2012 I sold it to the School of Journalism and Mass Communication at UNC Chapel Hill for an undisclosed sum. 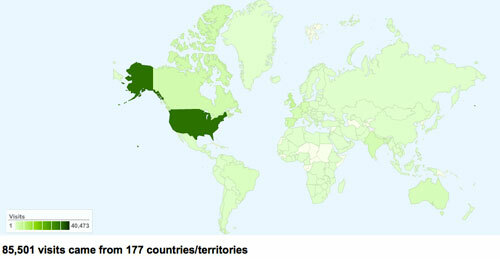 Saw readers in 177 countries with more than 155,000 pageviews in 2010. Published all content in both English and Spanish for over a year thanks to volunteer Andrea Ballocchi. Turned the site profitable in 2010 due to a number of affiliate marketing links and two private advertisers. Published more than 600 posts in four years. Remotely managed 16 guest bloggers and Spanish editor.